Gemini's new Vinyl to MP3 all in-one-turntable. 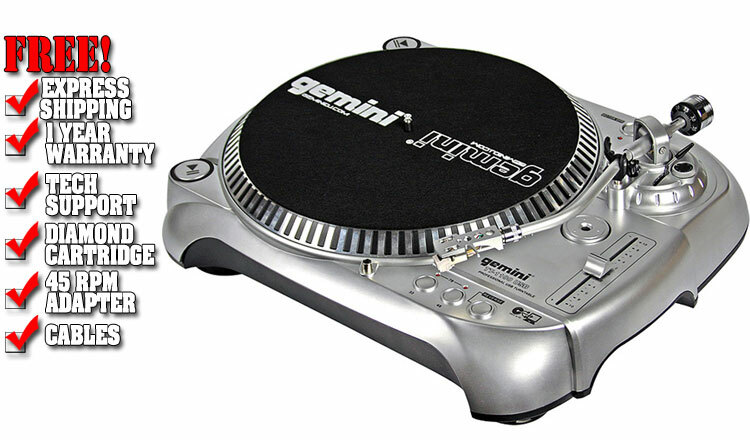 The TT-1100 USB is the most convenient turntable made today! Not only can you listen to your records, but you can also convert them to DIGITAL MP3s INSTANTLY. You can convert all your classics and rare albums directly into MP3 with amazing quality. Simply install the software provided and plug the TT-1100 USB turntable directly into your computer and start recording...It's that easy. The technologically advanced TT-1100 USB allows you to convert your old vinyl collection directly to MP3 quickly and with extreme ease, anyone can do it.